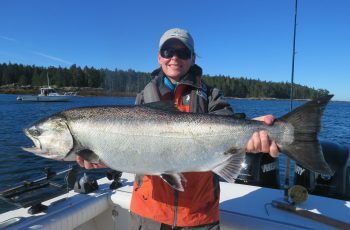 Sunny, warm, flat seas, fish everywhere, yes Langara is the place to be right now. Dixon entrance appears to be plugged with spring salmon, and the weather gods are on our side. What a fantastic June we are enjoying in 2011. Today was one of those days, had the tack to myself for two hours, easy tide and fish every five minutes. We were really busy, right off the hop, springs 14 to 26 lbs, stacked like cordwood. Shallow, deep, mooching or riggers, fishing was silly for five hours! 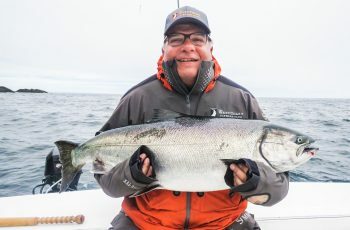 The boys at Coho point were busy with springs as well, with Matt Conman’s boat nailing a large coho, the coveted northern, 13 lbs, what a beak, on that coho ha-ha. All guides had heavy totes, the fish room busy, freezer working overtime. What a day on the north pacific. No tyees this day, but look out tomorrow! 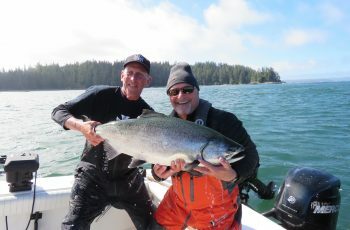 Our last trip saw seven tyee here at the Club, largest a 37 for Bud Blackwell. 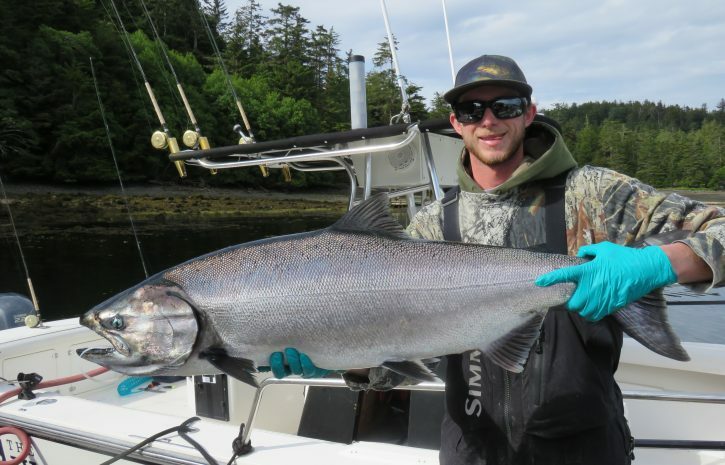 Kevin Blackwell grabbed a 34, same tide on Jordie’s boat, fishing the reef. Jordie’s boat has officially woken up, always hot after the annual summer solstice party. Mike Stanberry nabbed a 31 fishing with Todd, on the tack at Boulder, to finish his trip off. Ryan Hague wrestled in two 30 lbers self guided, well done. Warren White snuck a 30 in as well and the Van Berkom group had a 33 released, wow, decent. 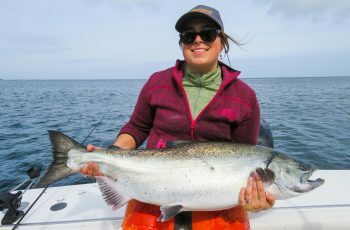 Things are great here in our local waters. This weather is helping as well, the dreaded winds have not pounded us this spring. The fish are cooperating nicely, everyone is catching, and the traffic is not bad. We have humpback whales everywhere, and porpoises are appearing as well, pretty cool. Remember to give those whales some space eh, what a sight to have them cruising around us on the tack. Well, time for some shuteye. 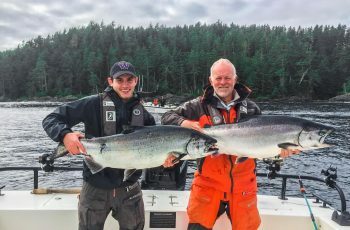 Rumor has it Jason is cooking Haida style on the dock tomorrow, the guides will be eating his famous halibut and salmon, crab and everything else he can pillage and cart down the hill, will have a full report tomorrow, goodnight from the Clubhouse.